​Having lived in Hanoi for a few years, I'd like to share some of the interesting things that I have had the joy of experiencing. Some are unique and so unexpected that the images linger on. I do enjoy walking the streets in Hanoi's Old Quarter and, on the weekends, Grumpy joins me. Here starts the fun. Grumpy is unstoppable. Once, while walking towards the Dong Xuan market, one of the biggest in Hanoi's Old Quarter, we passed by a temple and seeing that something is going on, Grumpy poked his neck in. 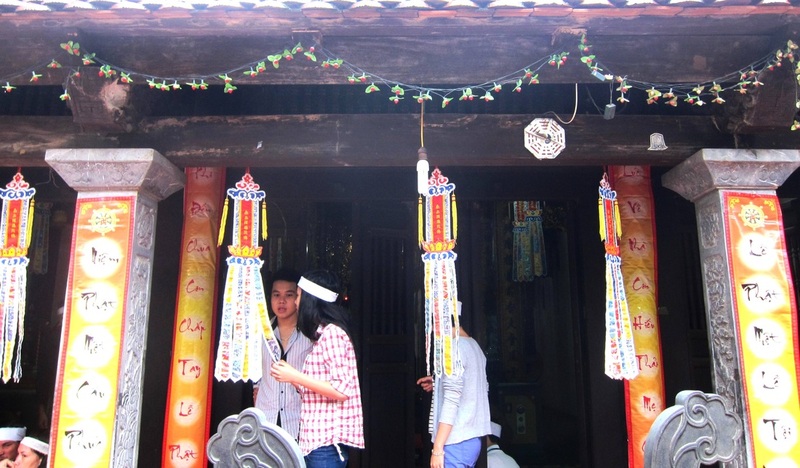 ​It was a prayer ceremony for the dead. Family members gathered in the temple, white cloth tied around their heads and with offering of incense, fruits and sweets. Singing started and one of the well fed grandkids seeing how closely he was imaged in the older version of Grumpy, gave us some attention. The parents lost some of their shyness and offered to share the ceremony. So we ended, sitting on the temple floor and feeling part of a ceremony we had never seen before. At one point in the ceremony, the monk danced in a meditative act. I wish we understood more of what was going on but we were happy just to be sharing with the family. When shopping in Hang Gai St., you will not miss this temple. It is at 85 Hang Gai. When you go in there, the ladies will usually invite you for tea and their stories can really be interesting when you listen to them trying their English out. It was one of those charming experiences in a crowded shopping street. Another activity I enjoy is buying flowers or fruits from the street vendors. I don't speak any Vietnamese nor do they speak any English but communication is no problem. Goodwill, smiles and patience overcome most language barriers. ​There's also the chance of drawing in a passing student who has fun using her English and, at times, even gives advice on prices. The vendor always takes out her calculator and shows me the amount. I, then, say No and put in the amount I am willing to pay and negotiation takes place until an agreement is reached. Often, the vendors remember me in the streets I frequent so they give a better price. Often, we pass by a group enjoying their breakfast at one of the street stalls. 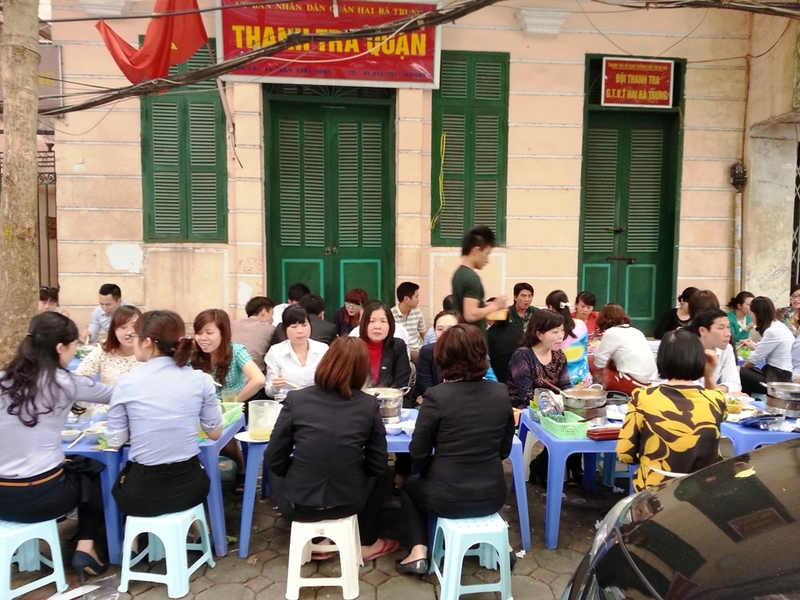 Street food is very popular in Hanoi and especially on the weekend, many of these streets are full. Families just having cups of coffee or tea or a bowl of Pho (Vietnam's noodle soup). One of these cafes is exceptional. It doesn't seem to have a name but everyone knows the place. You can find in near Hle Lake on Tran Bin Trong Street. It is where the Songbird owners gather to let their birds have a singing competition and just enjoy each other's company. The birds are very social and they love to be there to the delight of their owners. Some owners bring 3 cages at a time and use their well plumaged wives perched on the back of the moto as bird cage holders. Mind you, a friend of mine has 11 cages in her house. In this cafe, there's a line outside where the cages are hung and the birds just tweet their hearts out. We walked to this place one day and we stayed almost the whole morning as the bird owners kept coming and the morning became more interesting. One of them spoke English and immediately, we became part of the group with the owners competing to educate us about these birds. Can't stop Grumpy joining in the bird singing with his off key whistle. He became quite an attraction as the birds try to plug their ears with their wings. ​For us, this Songbird Cafe is an example of what makes a city like Hanoi unique. It is a clear mark of an underlying decency and the permanence of a culture. The songbirds whistling their hearts out made us all look up and while we certainly didn't become St Francis, we all heard the same songs and we all smiled at each other at a level well above any language barriers. 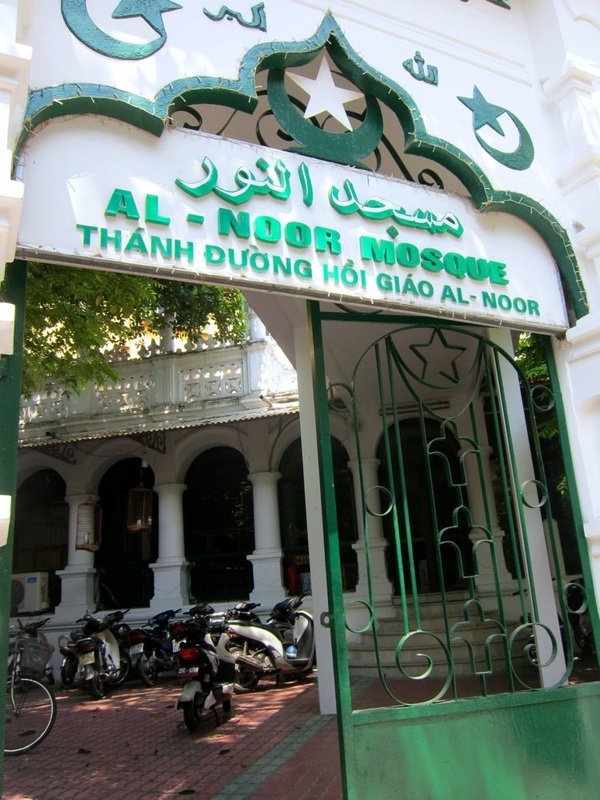 One of my latest discoveries in Hanoi is the Mosque. I was just exploring one day and I happened to see this place. Being a woman, I did not go in though the gate was opened. Maybe, I haven't explored this street before but I sure was happy to find this. It intrigued me and now, I am starting to find out more about the Muslims here. Tourist authorities have a difficult time promoting hidden back waters. And yet as the world becomes more homogenized and television gives us all the same Prada shoes and imitation Ferragamo bags it's the back waters that underline how great it is to be different. Sunday morning with the family songbird in a singing competition or Sunday afternoon at a football game howling Go. Big Red. How different can we be? And what a celebration it is. Learning new things is important but reflecting on what makes us different and what makes us the same is really the heart of intelligent tourism. 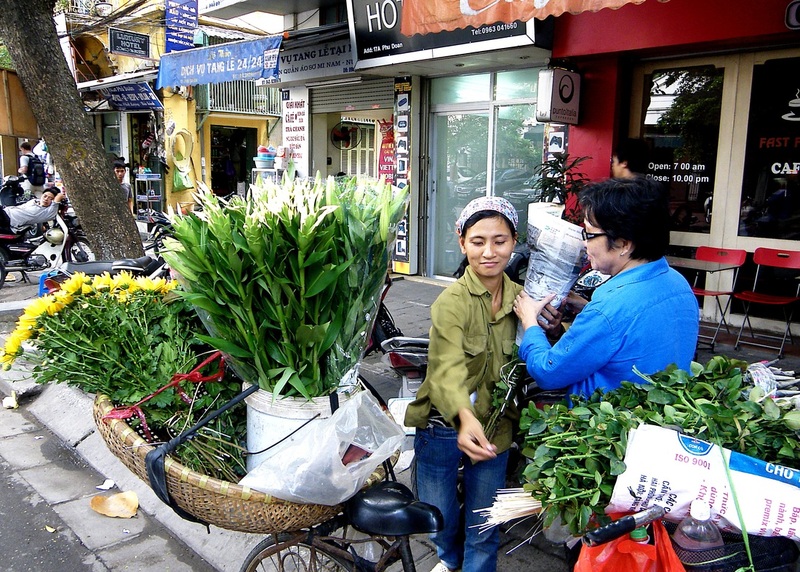 Is there a Hanoi secret you want to share?